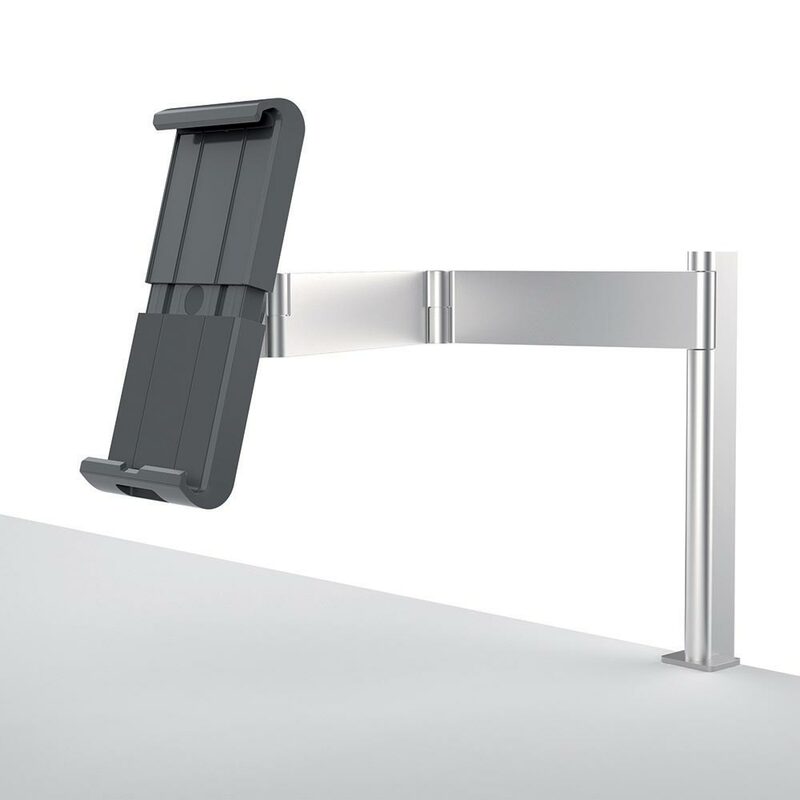 Save worktop space with the TabClamp that simply clamps onto a desk. 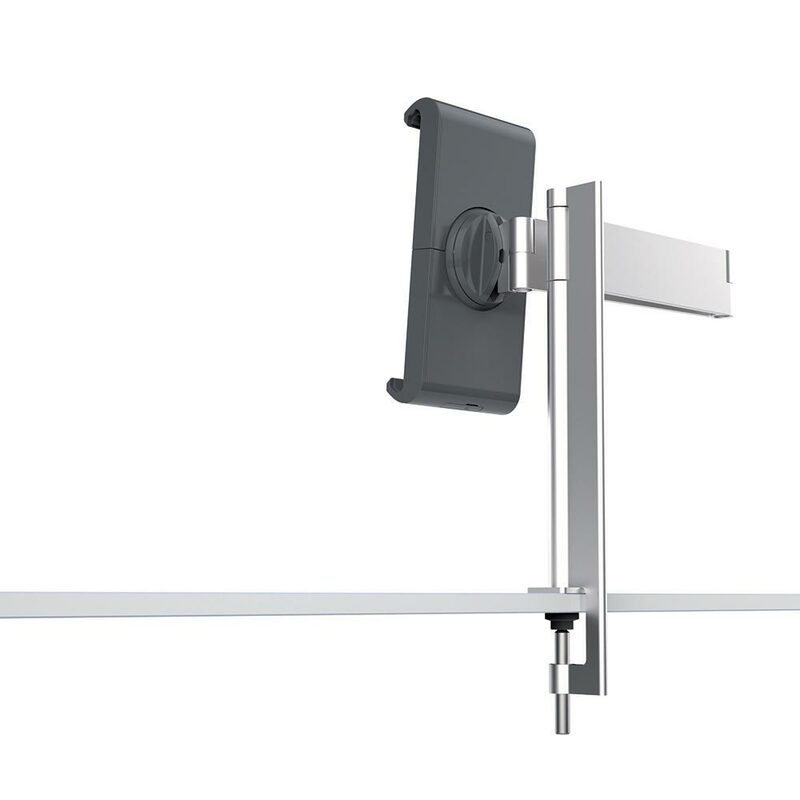 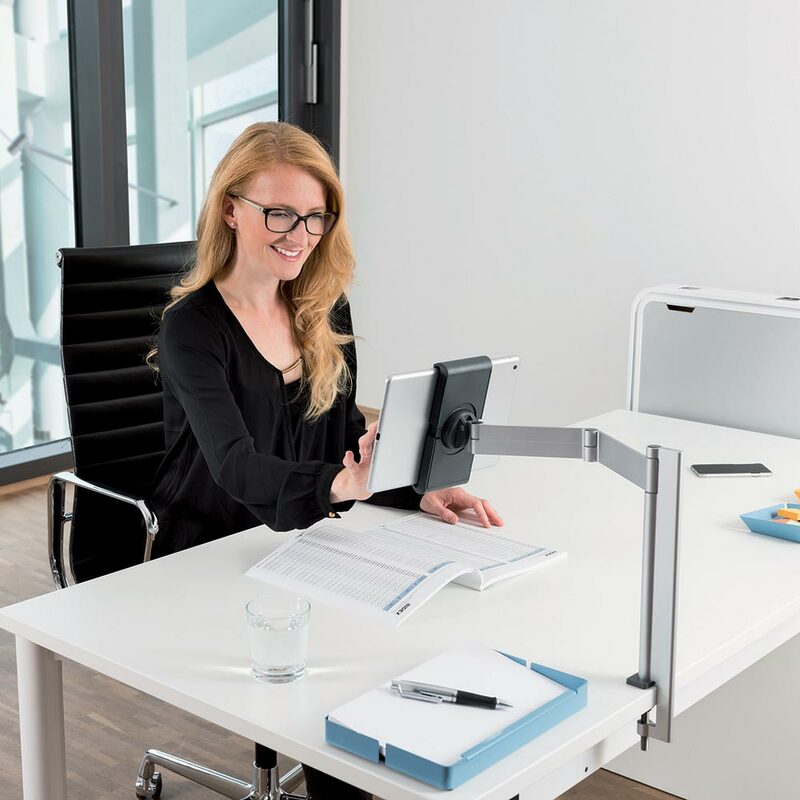 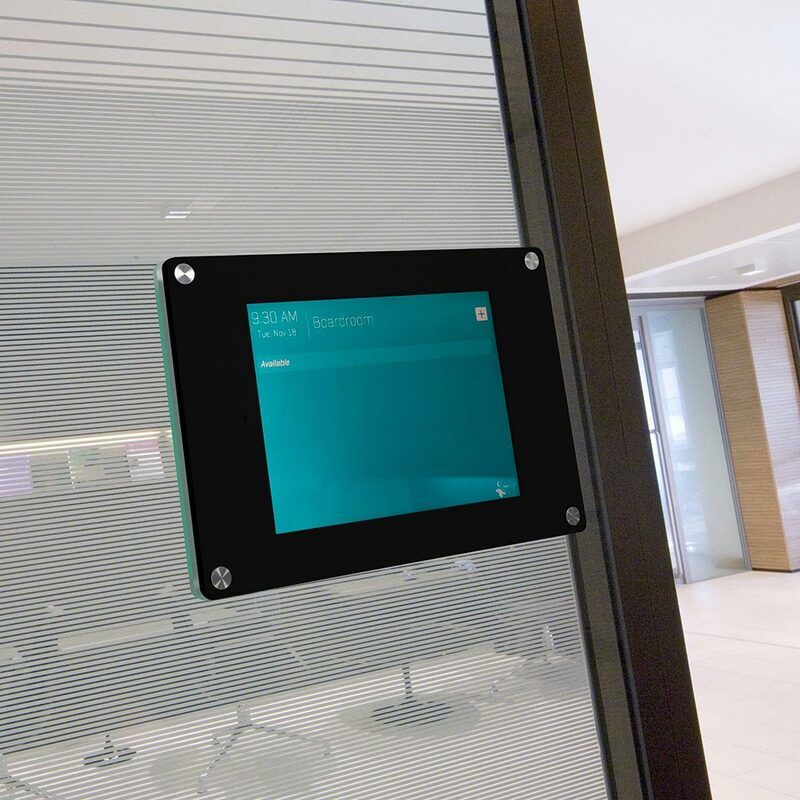 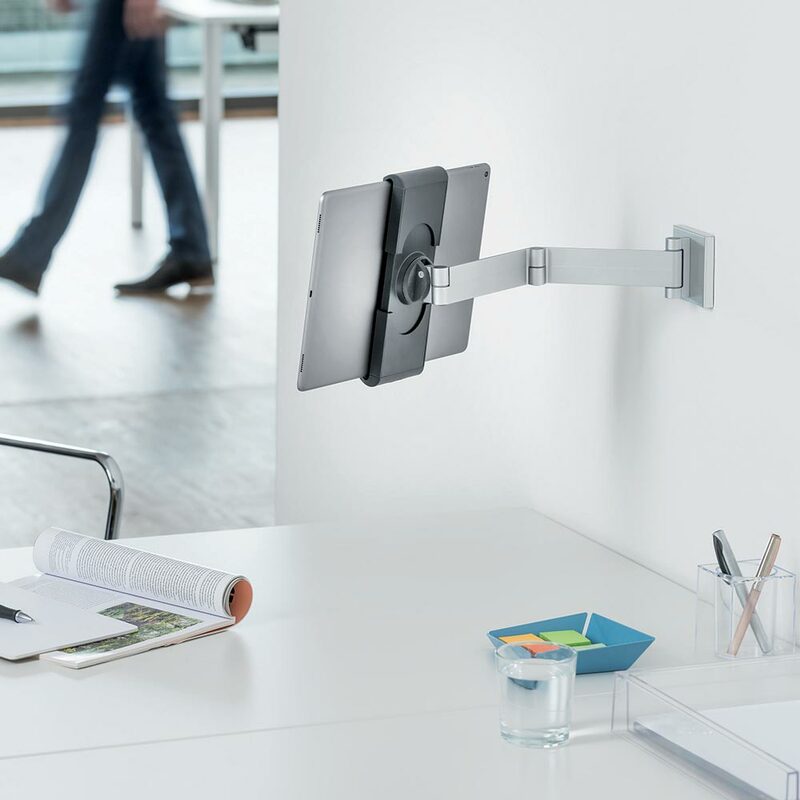 A flexible support arm allows the tablet to be positioned into an optimal and ergonomically correct viewing distance from the tablet whilst the user is sat at a desk. 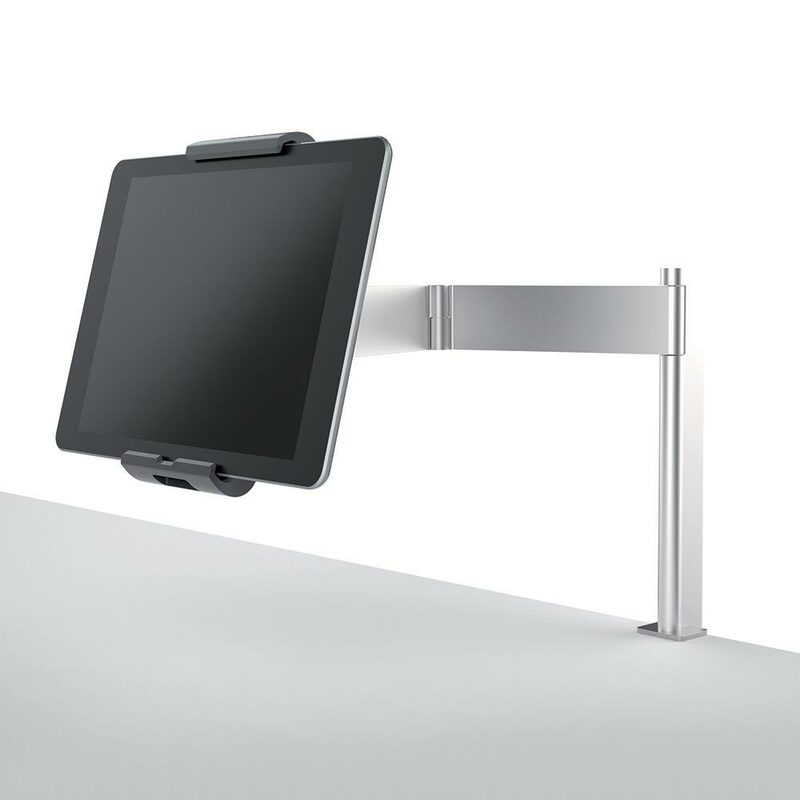 Variable fit for all tablet sizes from 7" to 13"